Where the condensing water can be easily drained out, and where it is easily connected to outdoor unit. Select the place where the wall is strong enough to withstand the full weight and vibration of the unit. Be sure to leave enough space to allow access for routine maintenance. The installation site should be 98 inch or more above the floor. Select a place where the filter can be easily taken out. Make sure that the indoor unit is installed in accordance with installation dimension instructions. Do not use the unit in the laundry or around the swimming pool etc. Where noise and outflow air emitted by unit will not annoy neighbors. 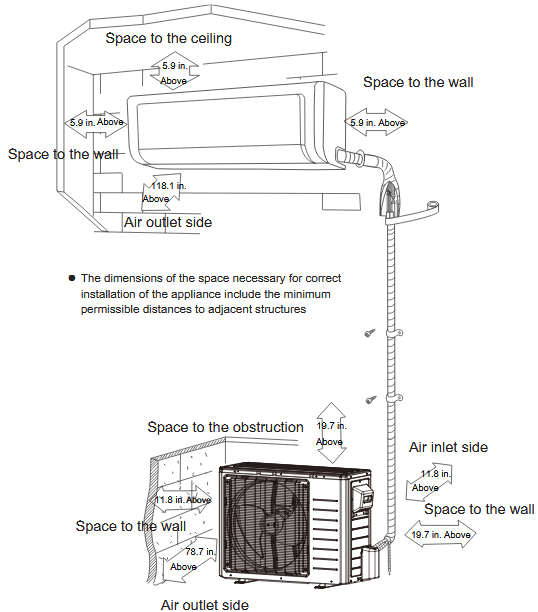 Where there is sufficent ventilation. Where there is no obstruction blocking the air inlet or outlet. Where it is able to withstand the full weight and vibration. Where it is dry and the unit is not expose to direct sunshine or strong wind. 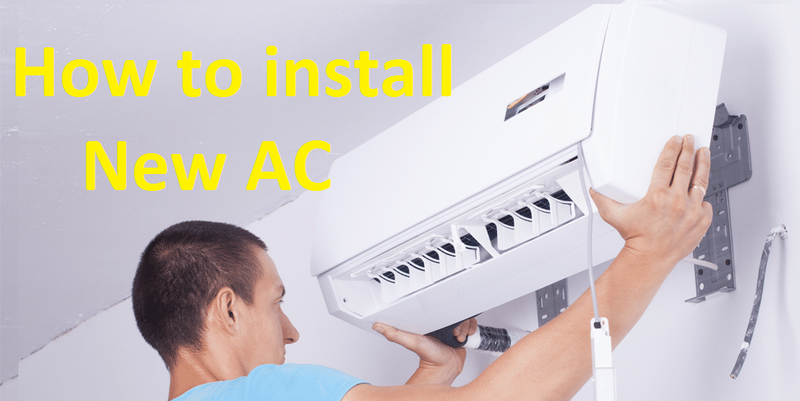 Make sure that the outdoor unit is installed in accordance with the installation instruction, and is convenient for maintenance and repair. Where the height difference between indoor and outdoor units is within 1ft, and the length of the connecting tubing does not exceed 32ft. Where it is out of reach of Children. Where the unit does not have negative impact on pedestrian or city amenity. A dedicated power supply circuit should be used in accordance with local electrical safety regulations. Don’t drag the power cord. The unit should be reliably earthed and connected to an exclusive earth device by the professionals. The air swith must have the functions of megnetic tripping and heat tripping to prevent short circuit and overloading.